I love adding additional nutrition to my meals! BUT I especially love plant based protein because it makes it easier to incorporate in almost any dish. Sabra sent me 5 amazing humus flavors! If you couldn’t tell already, I am a huge hummus fan. These are just a few recipes I have made Homemade Artichoke Hummus, Roasted Garlic Spinach Hummus, ‘Everything’ Hummus. One of my favorite breakfasts in this world is a bagel with smoked salmon and cream cheese. 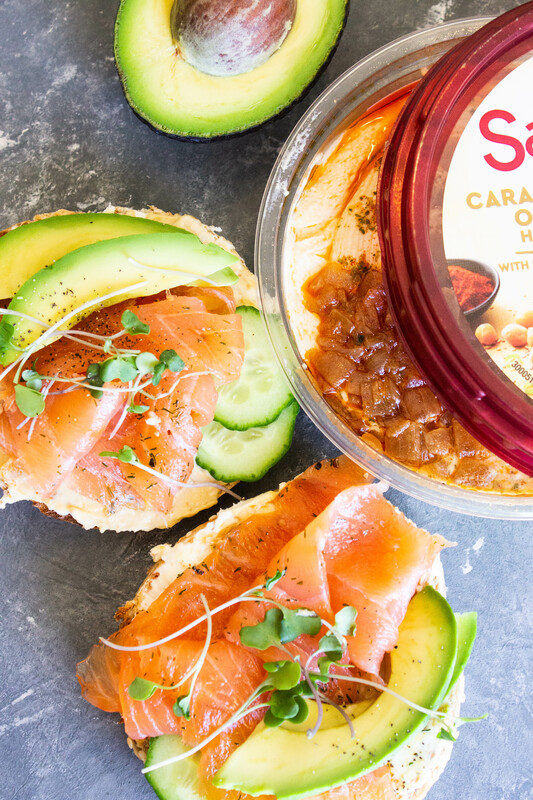 It gets even better with this caramelized onion hummus layered in between the bagel and smoked salmon. Normally I would add sliced red onion to my bagel and instead I added this caramelized onion hummus. It worked perfectly! 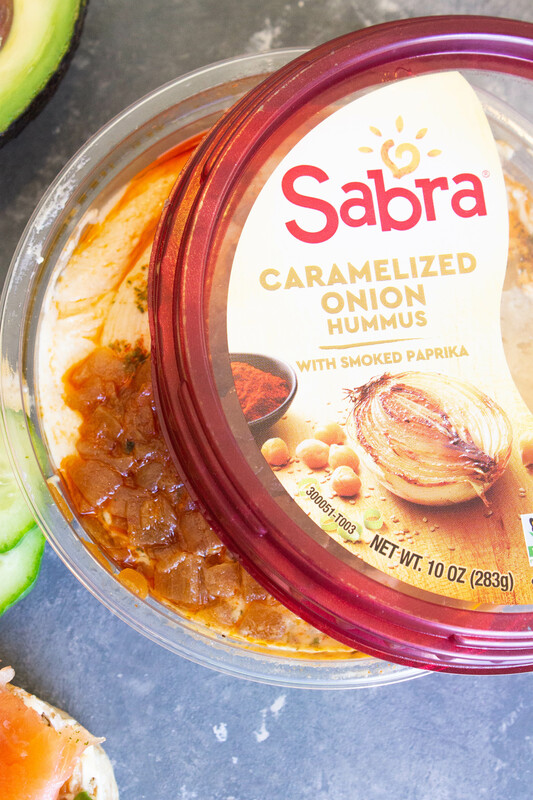 The hummus has chunks of caramelized onion pieces all over the top. 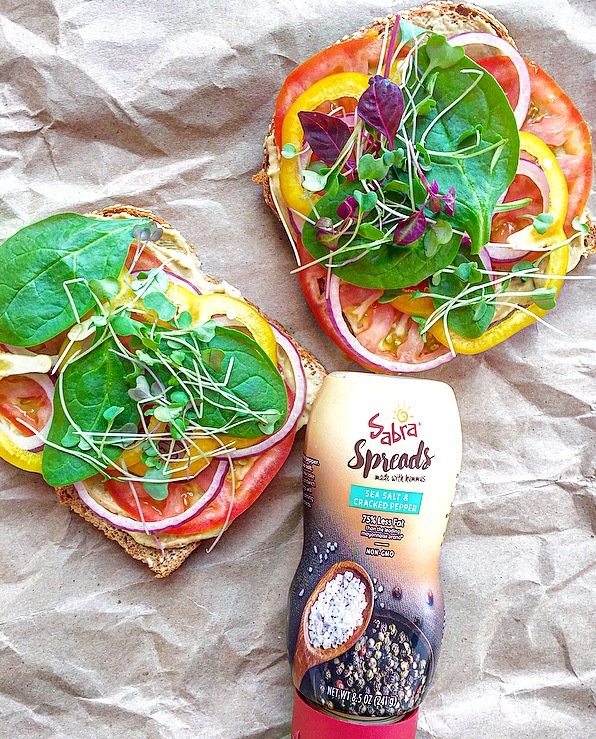 This nutrient packed bagel makes a hearty breakfast or lunch! The topping possibilities are endless. I think the avocado, cucumber and micro greens compliment the salmon bagel perfectly. 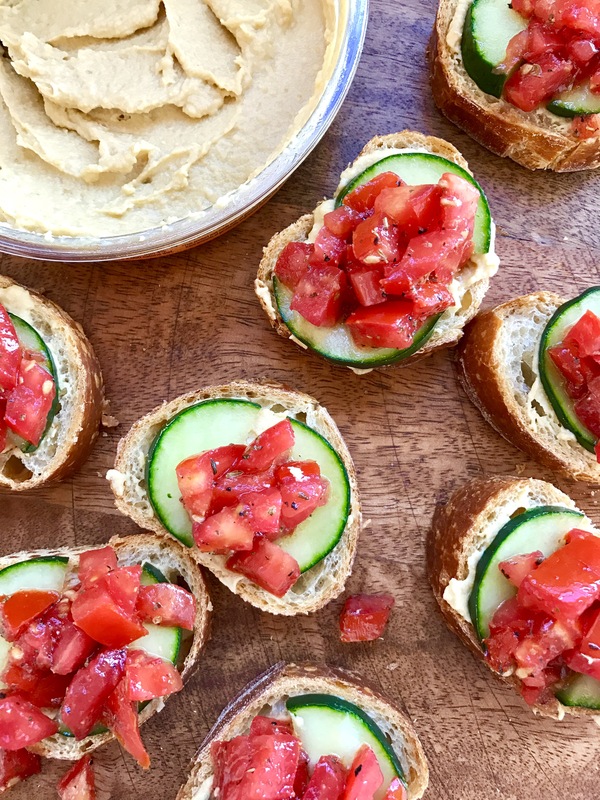 This is easy to make and literally will take minutes- even if you are in a rush out the door! 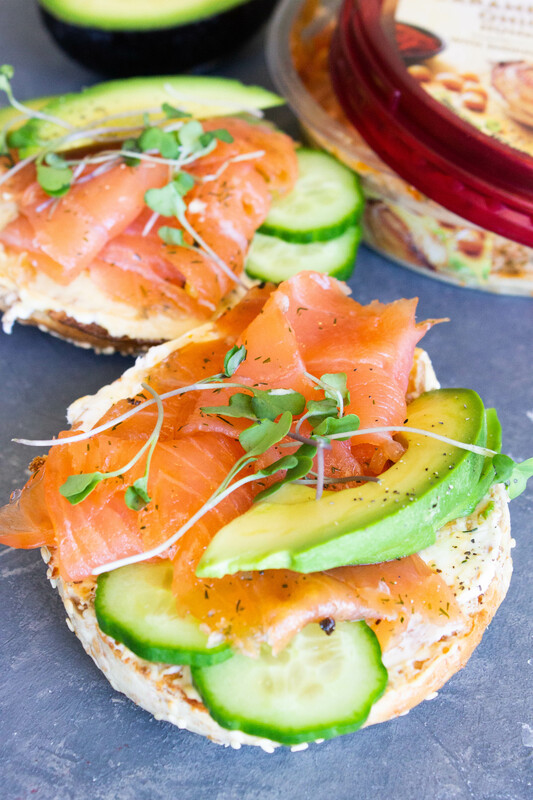 This perfect toasted bagel is layered with cream cheese, caramelized onion hummus, smoked salmon, avocado and cucumber. This layered delectable combination is hard to beat! Spread cream cheese on each bagel. Then spread the hummus. 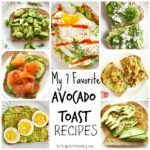 Top with smoked salmon, avocado, cucumber slices, micro-greens and black pepper. oooh this is what I want for breakfast tomorrow!